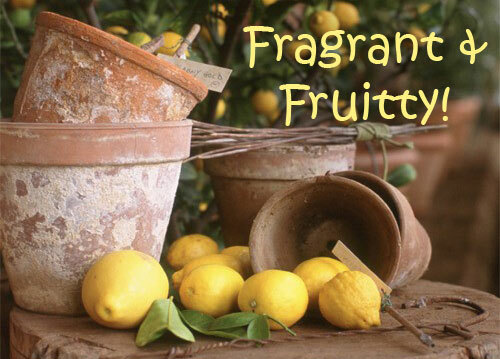 Have you ever tried to grow a dwarf fruit tree in a garden pot for your patio or deck areas? Spend just one night sleeping next to a open window on a citrus grove and you will not have to think twice about trying this. The scent is heavenly. Good things really do come in small packages. 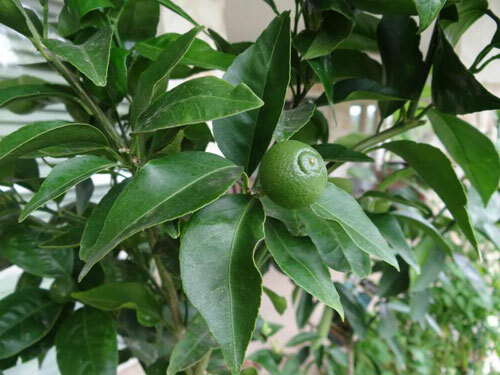 Dwarf citrus trees provide all the fruiting capabilities of the full sized ones but stay small because they are grafted on a smaller root stock and kept root bound in their garden pots. The most difficult issue you will face is trying to decide on which variety to choose from. 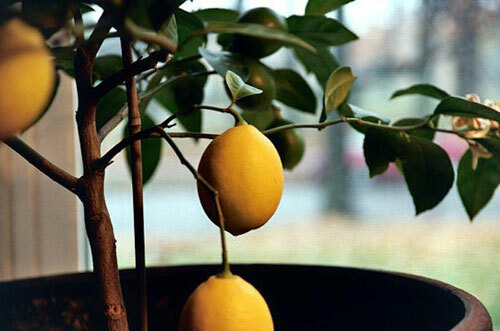 Some of the more popular varieties to pot are the Meyer lemon, which produces juicy, not tart, bright yellow lemons all year long. The Eureka is the one usually found in supermarkets. Limes are perfect container plants, especially Key Lime and the larger Bears seedless lime. Both produce fabulous fruit with a tang that is great for pies. Don't forget the leaves, they are very fragrant and can be used in Thai and Asian cooking. Yummy! 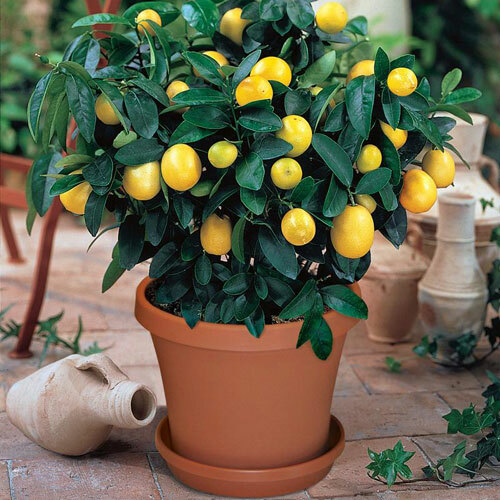 Lemons and Limes are great but don't forget the other citrus plants you can pot and grow. Valencia and Calamondian Orange. Tangerine and Kumquat look lovely, smell great even if you don't eat them. Whatever you decide is fine but consider that you will have to re-pot it into a suitable container. One that matches your decor indoors or outdoors. Pick a pot that is only slightly larger than the root ball and no more than 20" in diameter for bigger trees. The idea is to cramp the roots and keep them from over growing. 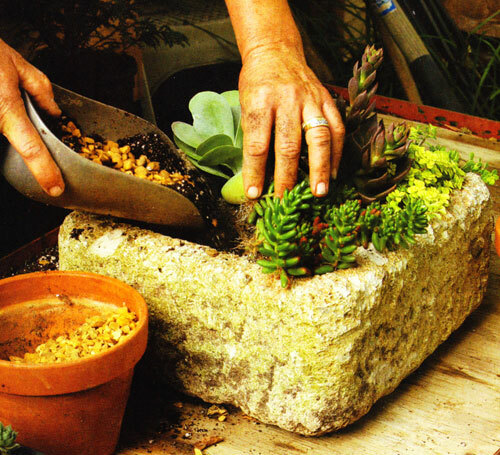 Line the bottom of the pot with regular potting soil, insert the tree and barely cover the root ball with more soil. Then water thoroughly. Plan on re-potting every 3 years or so. Expect the tree to drop some leaves initially but they will perk up when they have had a time to rest. 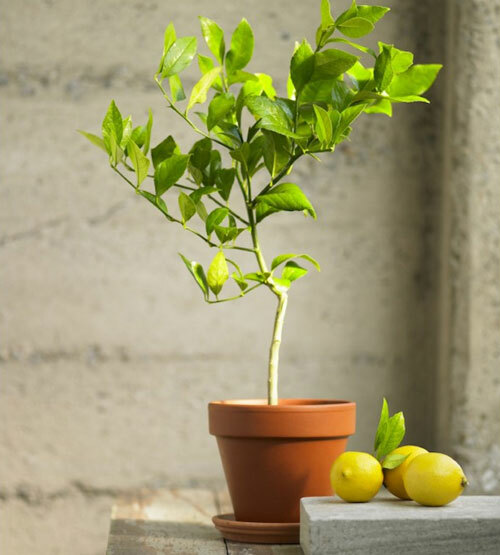 Potted Citrus trees thrive in full sun even though they are tolerant to a wide range of temperatures. Just avoid extremes. Lastly, remember that citrus does not ripen like a tomato. 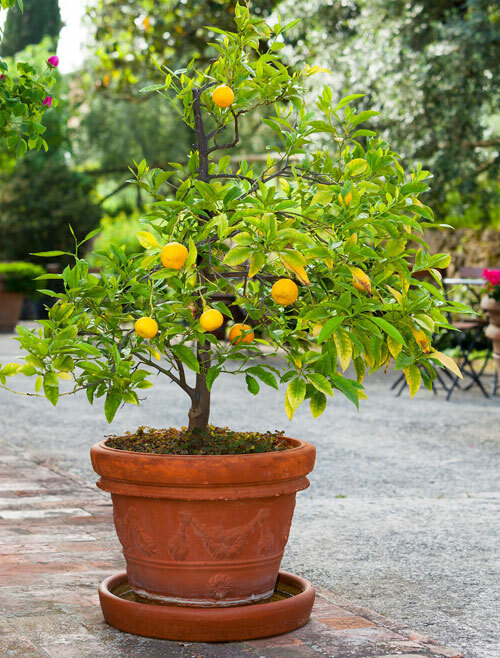 Most potted trees require 12 months to produce mature fruit. The best way to test for ripeness is to do a taste test. Now how bad can that be???? 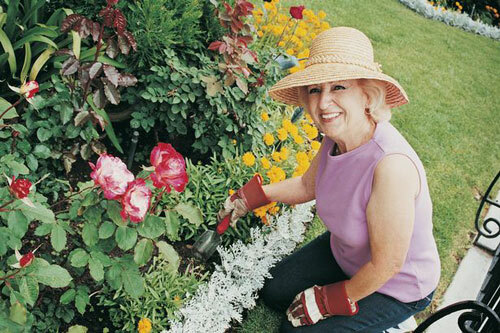 Follow the mfg directions on pruning and fertilizing. Most of all just have fun, enjoy the site, smell and taste of these fun and easy trees. 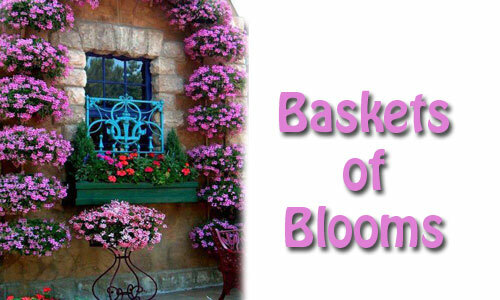 Add height to your garden with baskets of color draping under arbors, porches, fences, windows & walls. To get a full, ball effect, choose compact, bushy varieties of annuals. 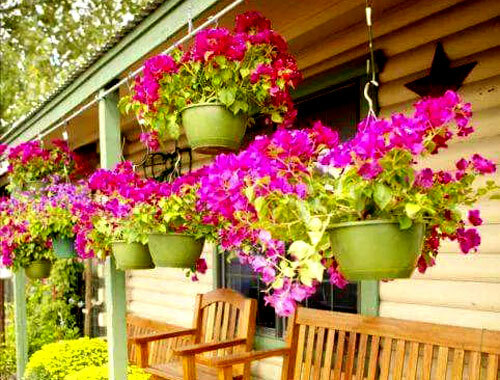 When mixing a variety of plants, the most important quality of a hanging bouquet is it's trailing habit, covering the sides of the container with blooms or green foliage. 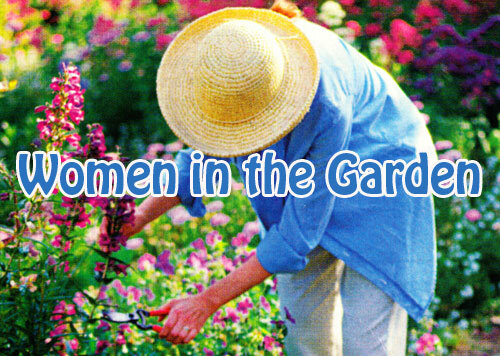 Plant taller varieties in the center and those with trailing or vining habits around the edges. Enhance the spherical shape by pinching off the main shoots of the plants when they reach the desired height. This simple chore encourages growth of side shoots. Rotate the hanging container regularly. 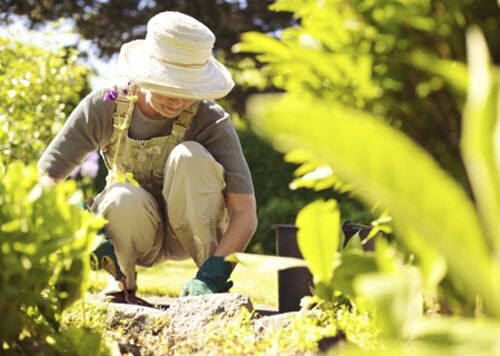 Once a week is best for rotation so that all flowers receive equal exposure to sunlight. Be vigilant about deadheading spent blooms and pinching leggy plants. Check moisture often especially on hot days. 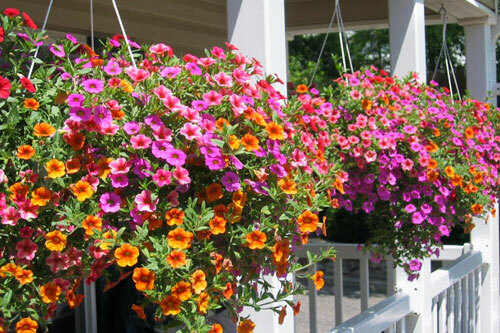 With a little planning ahead and few weekly duties, your hanging baskets will be beautiful and successful. Try Gravel As A Pot Topper! Try using gravel for great drainage in all kinds of planters and then finish of the look by topping the soil. Nice! It's very common for most gardeners to grab a few stones, pieces of broken clay pottery or pot filler, to cover the drain hole in the bottom of most garden planters. If you choose to go this route we suggest adding a thin layer of pebble gravel. 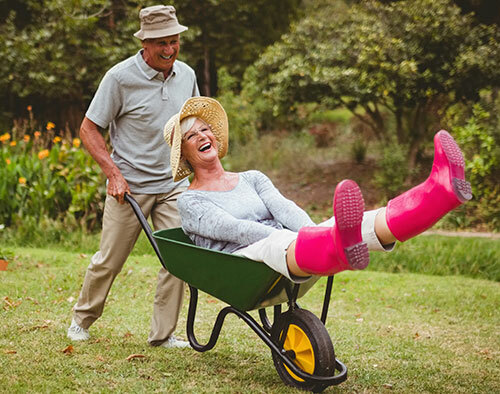 Any of these products will help the soil drain but still keep it from running out the bottom of the pot and getting your deck or patio surface dirty. You also don't want any standing water in the bottom of your garden pots or the roots of your plants will rot. Gravel can also be used to help with the draining of the soil. Just add some to the soil mix, toss it gently and it helps the soil drain better. 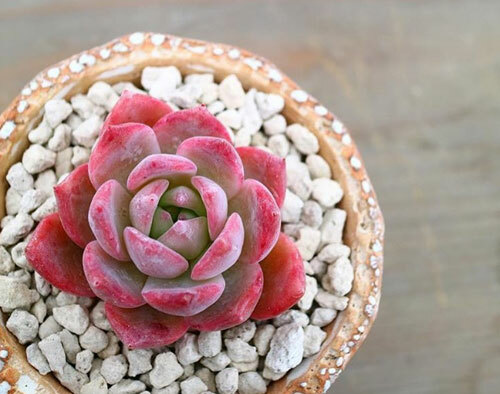 We love to see cacti, succulents and bulbs grown in gravel & water only. It creates a unique look. 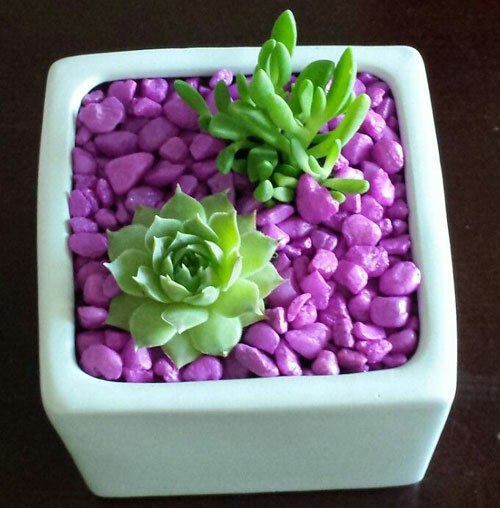 Try top-dressing your planters with colorful gravel. It not only is attractive but it really keeps the potting soil from drying out as fast. 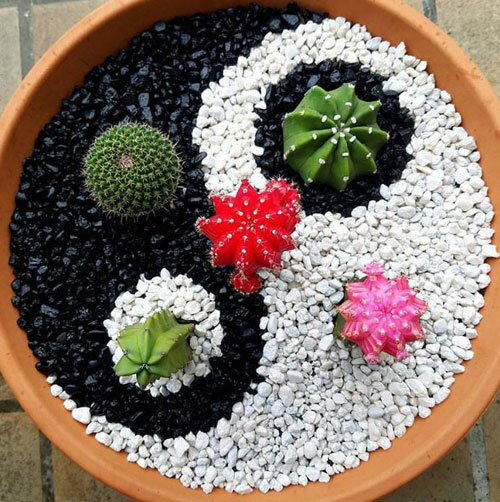 Gravel as a pot topper also helps to keep water and soil from splashing up on the plants. You can find colorful gravels that look decorative and beautiful at most garden center or aquarium outlets. 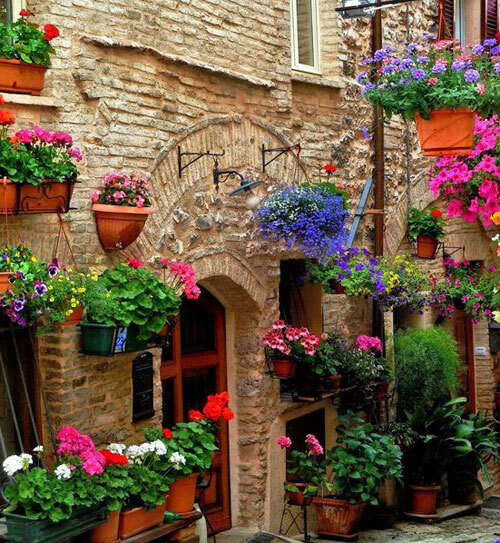 Don't leave your potted plants looking good when they can look GREAT!!! Read more.....New & unusual potted grasses.